Votto, Verlander, Toles, Shipley, Fulmer, Bour, Sheffield and Kiermaier. Not exactly bursting with superstars there to justify the price point, but at least some of them are hard singatures? All will be added to t he trade bait team pages. Well, are you thoroughly underwhelmed? I'm working on updating the team pages tonight, so hopefully you'll see new trade bait listed soon! Let's make some deals! 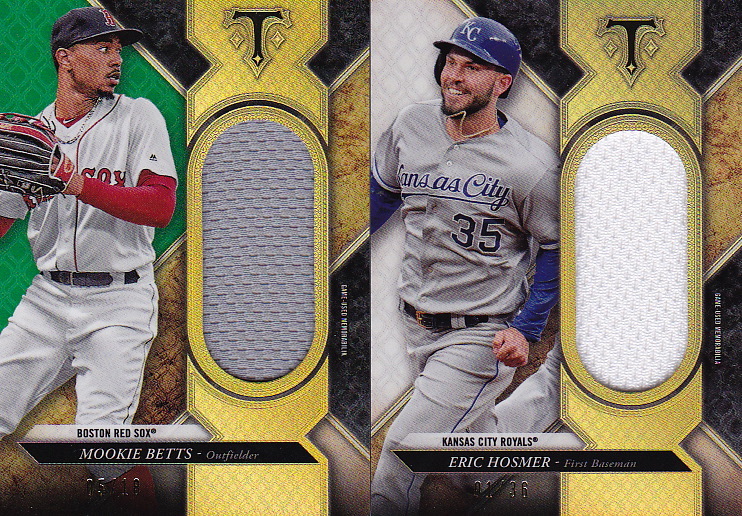 Triple Threads is such a hit or miss product. 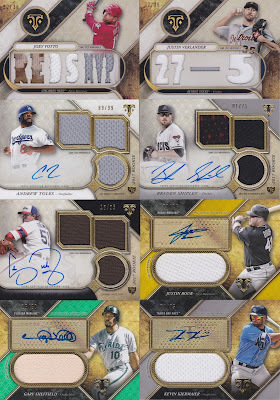 If you hit one of the two-ish good boxes in a case you tend to hit it BIG. But the rest tend to be very underwhelming. Yeesh. I just cannot justify purchasing boxes like this. If you need a home for that Fulmer I can take it off your hands. A Whole Lot of 2017 Goodwin Champions! Using Trump to Trade Up!